Tonometry is a test to measure the pressure inside your eyes, referred to as intraocular eye pressure (IOP). Measuring your eye pressure is an important part of a comprehensive eye examination. If your eye pressure becomes higher than normal, you may be at risk for developing eye diseases such as glaucoma. High eye pressure can damage the delicate nerve fibers in the back of your eye, sometimes resulting in blindness. A tonometer is an instrument that determines intraocular pressure by measuring the resistance of your cornea to indentation. Your eye doctor may use one of several methods to measure the pressure inside your eyes. The most common tonometer that eye care practitioners use is the Goldman applanation tonometer as manufactured by Zeiss. A Goldman tonometer is usually attached to a slit lamp microscope. Anesthetic eye drops are instilled into your eyes, followed by a small amount of fluorescein dye. A cobalt blue light then illuminates the flurorescein and the tonometer. A small probe is gently pressed onto your eye, indenting the cornea. The pressure that the cornea pushes back onto the tonometer is measured in millimeters of mercury, giving your eye doctor a number to record and compare to from year to year. Non-contact tonometry (NCT) is commonly referred to as the "air puff" test. Many people prefer this type of tonometry because it does not involve touching the eye. Instead, a gentle puff of air is used to flatten the cornea. NCT tonometry is not considered as accurate as Goldman tonometry but provides a very useful and speedy way of measuring eye pressure in children or sensitive adults. Electronic tonometry refers to a handheld, mobile device that your eye doctor can carry from room to room to check eye pressure. Resembling a writing pen, the mobile tonometer is gently and quickly applied to your cornea. Your doctor will probably obtain about three readings in order to obtain an accurate measurement. Electronic tonometry is not considered as reliable or as accurate as Goldman tonometry but is extremely handy for a busy practitioner. Schiotiz tonometry is a form of indentation tonometry. An indentation tonometer measures eye pressure by measuring the depth of deformity caused by a small metal plunger as it rests on the cornea. Modern eye care practitioners rarely use indentation tonometry. Indentation tonometry is sometimes used in general practitioners' offices and the military. Normal eye pressure differs between people. 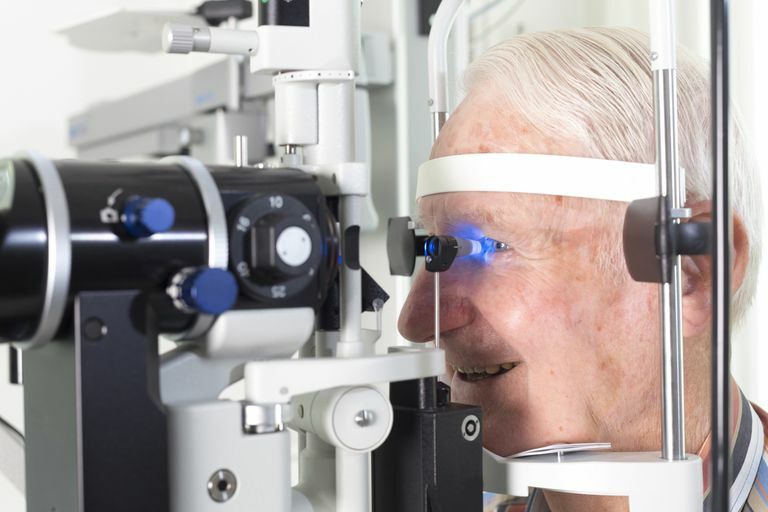 If your eye pressure is higher than normal, your risk of developing glaucoma may be increased. Eskridge, J Boyd, John Amos and Jimmy Bartlett. Clinical Procedures in Optometry, pp 221-237. JB Lippincott Company, 1991. Kurtz, Daniel and Nancy B. Carlson. Clinical Procedures for Ocular Examination, pp 289-300. The McGraw-Hill Companis, Inc, 2004. How Does Your Doctor Check for Glaucoma? Is Corneal Thickness Linked to Glaucoma? What Should I Know About Glaucoma? What is corneal cross linking? Have You Had Your Cornea Mapped?